Comets, meteors and asteroids have several things in common. First, they’re believed to be remnants of the materials that created the Sun and the planets. Basically, they’re leftovers. Comets, meteors and asteroids are too small to be planets. Some are only a few feet in size, while others are a mile or more long. 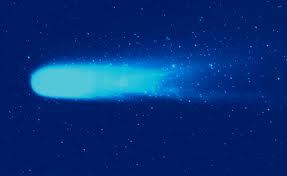 Comets are mostly made of ice. They are very old. As comets travel close to the Sun, some of the ice melts off and becomes a gas. This melting process causes bits of dust and debris to trail behind the comet. This tail can be seen in the night sky as a bright, quickly-moving light. Comets orbit at the very edge of the galaxy, past Pluto. Asteroids are mostly made of rock. Asteroids are found in the Asteroid Belt between Mars and Jupiter. Keep reading to find out more all about comets, meteors and asteroids. Asteroids are mostly made of rock. Asteroids are found in the Asteroid Belt between Mars and Jupiter. Ceres is the largest asteroid and is about 950 km wide. Scientists estimate that a massive asteroid hit earth about 65 million years ago wiping out the dinosaurs. Sometimes asteroids collide or crash into one another. When this happens, thousands of little pieces chip off the asteroids. These little pieces are called meteors. The meteors travel through space and occasionally become caught by a planet’s gravitational pull. Meteors enter the Earth’s atmosphere every day. Most of them burn up, but if they land on Earth, they are called meteorites. Most meteorites are small, but larger ones have landed on cars or houses, causing damage. In 2013 in area of Russia called Chelyabinsk a meteor over 20 m wide exploded in the air. The massive shock wave damaged thousands of buildings and injured over 1500 people. Luckily for the people of Chelyabinsk the meteor exploded in the air and didn’t hit the ground and explode, if it did it would have wiped out the town. Sometimes asteroids collide or crash into one another. When this happens, thousands of little pieces chip off the asteroids. These little pieces are called meteors. 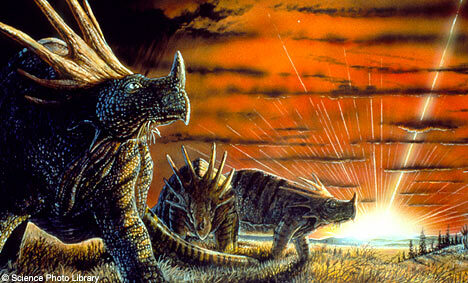 Scientists believe an asteroid might have caused the extinction of the dinosaurs. A video differentiating meteors, meteoroids and meteorites. 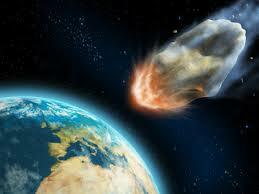 Question: Could an asteroid hit the earth? Answer: Asteroids usually stay in the Asteroid Belt, but they’re sometimes knocked off course. An asteroid could hit the Earth, although it’s unlikely. Scientists believe an asteroid might have caused the extinction of the dinosaurs. Astronomers are constantly studying the skies, looking for asteroids that might crash into Earth. 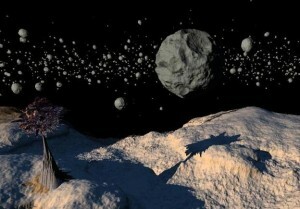 Enjoyed the Easy Science for Kids Website all about Comets, Meteors and Asteroids info? Take the FREE & fun all about Comets, Meteors and Asteroids quiz and download FREE Comets, Meteors and Asteroids worksheet for kids. For lengthy info click here. Declan, Tobin. " Comets, Meteors and Asteroid Facts for Kids ." Easy Science for Kids, Apr 2019. Web. 21 Apr 2019. < https://easyscienceforkids.com/all-about-comets-meteors-and-asteroids/ >.